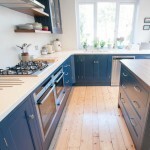 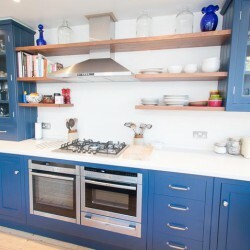 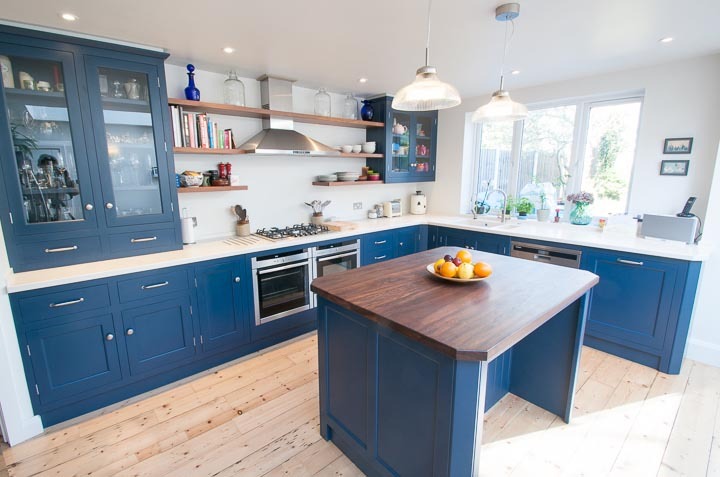 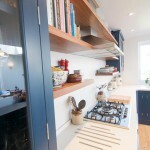 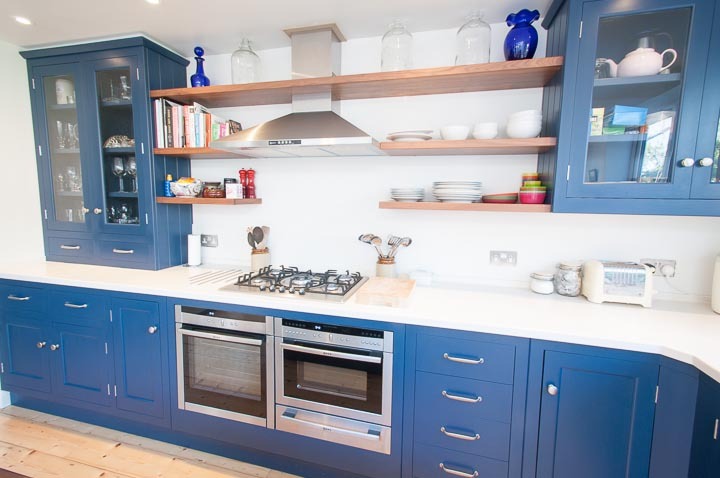 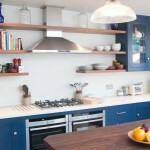 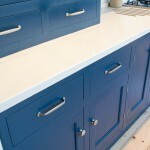 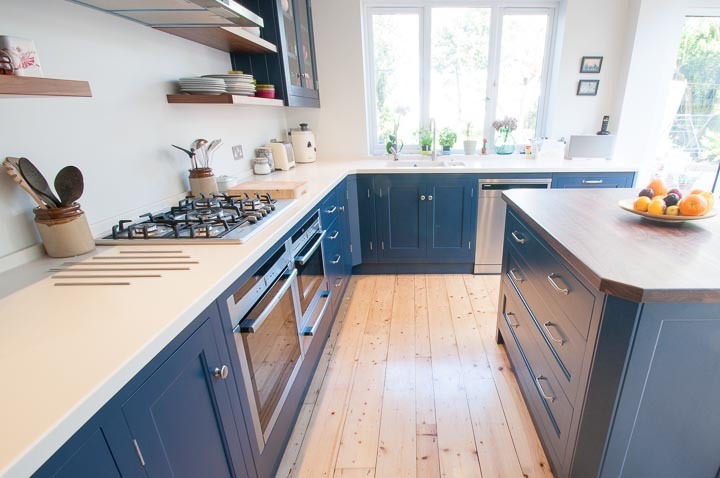 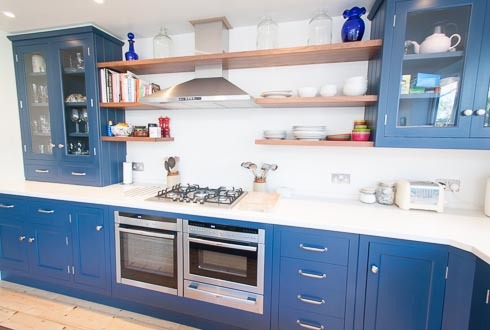 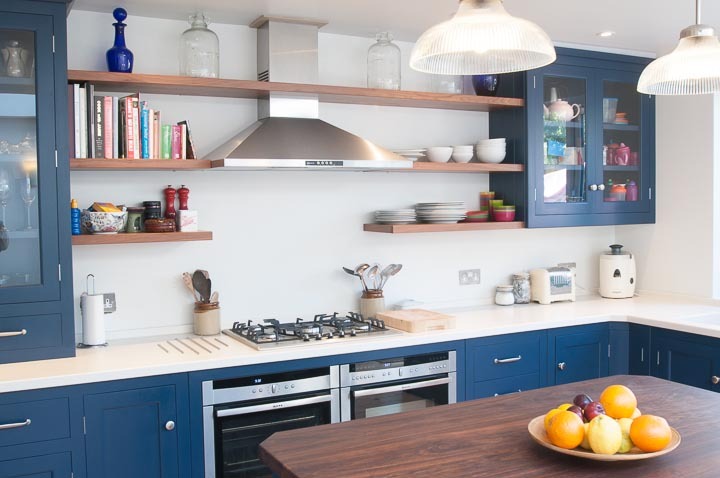 These and many other ideas were the inspiration behind the creation of this beautiful blue lacquered kitchen in Bristol. 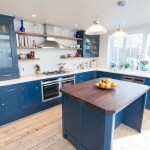 The finish is a deep blue sprayed mat lacquer. 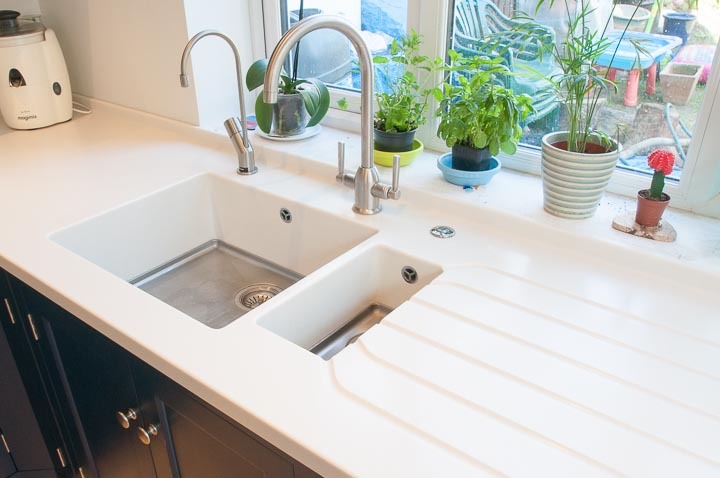 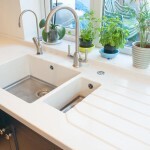 The worktops are Glacier White Corian with integrated Fontana sinks and stainless steel hob bars. 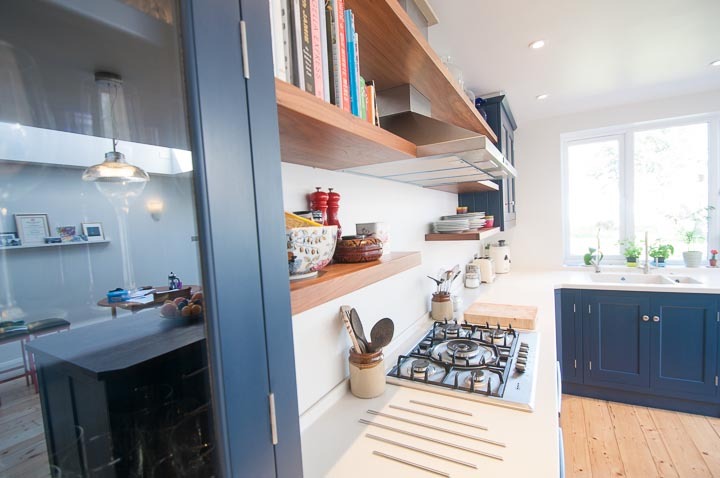 Also included are an array of Neff appliances and a Quooker boiling water tap making this a beautiful and yet very functional working family kitchen. 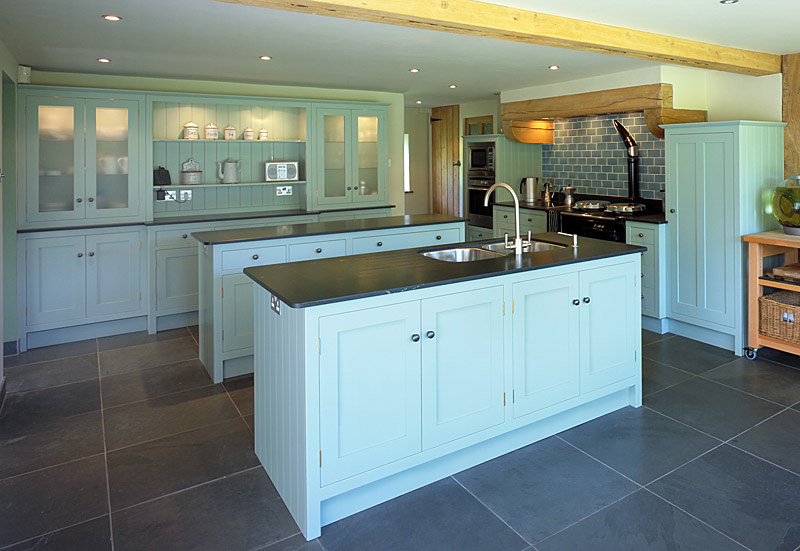 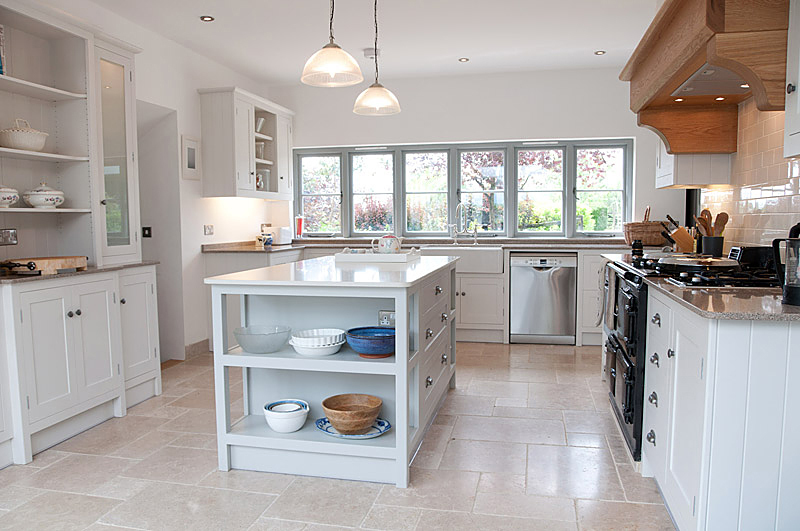 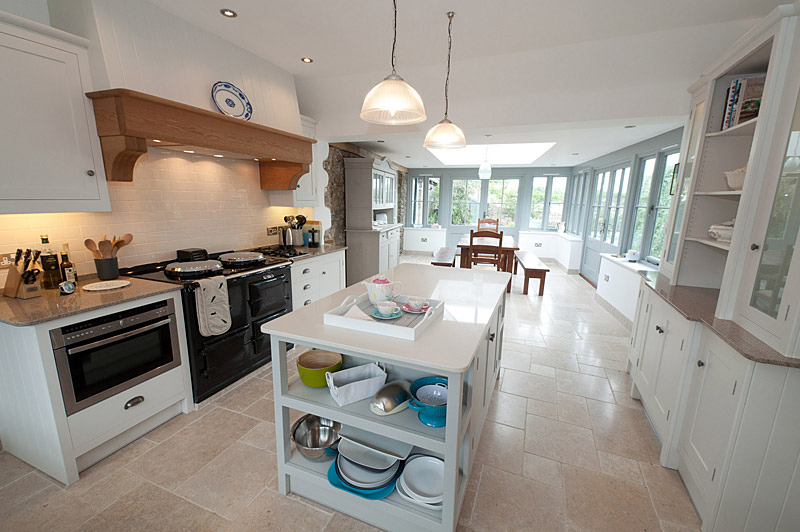 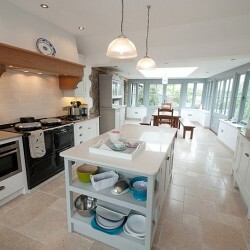 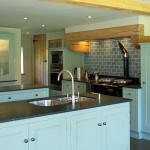 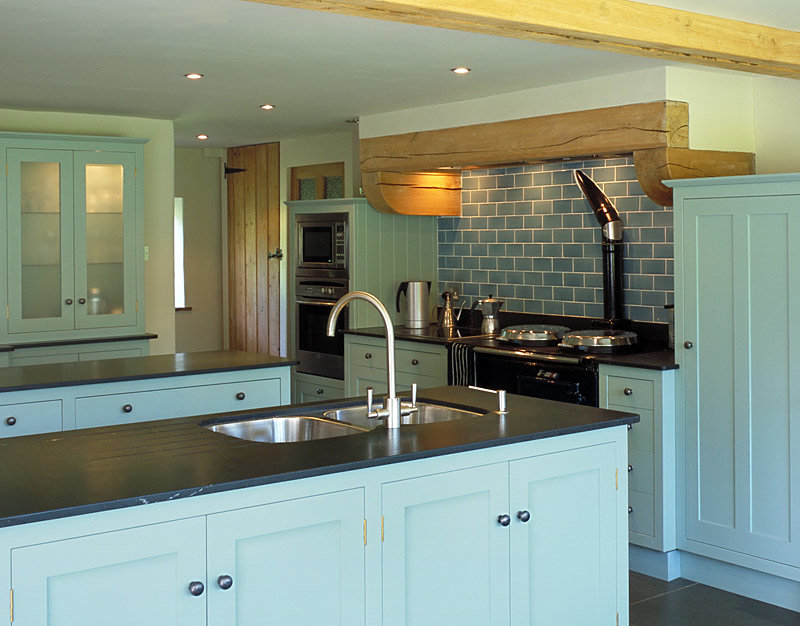 Duck-egg blue kitchen with Kirkstone slate worktops. 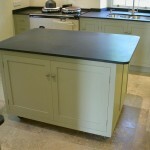 An unusual layout with 2 island units. 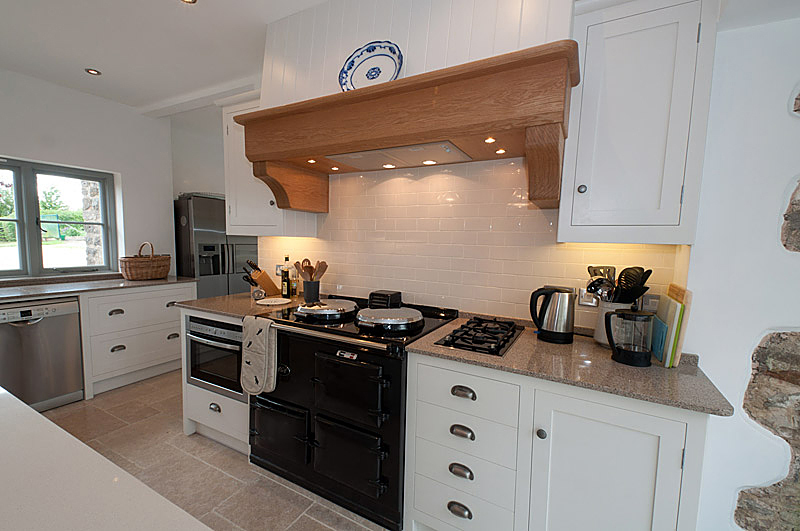 The Oak canopy over the Aga was inspired by a French farmhouse chimney breast. 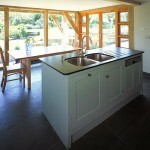 A compact kitchen in a converted barn. 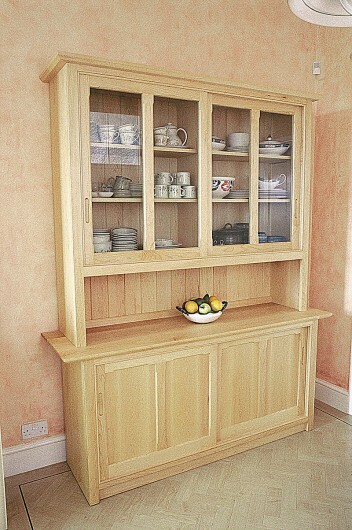 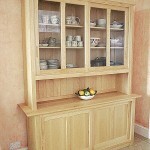 European Oak with a linseed oil finish. 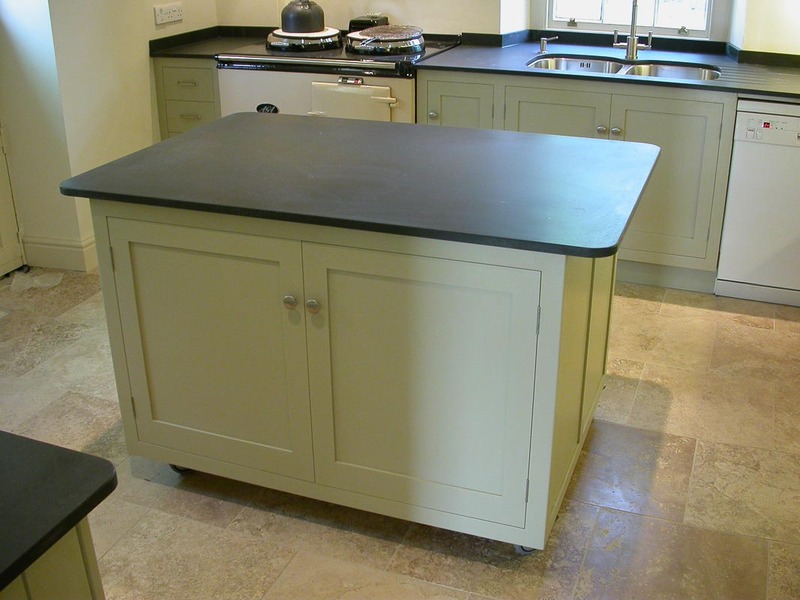 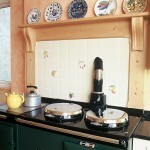 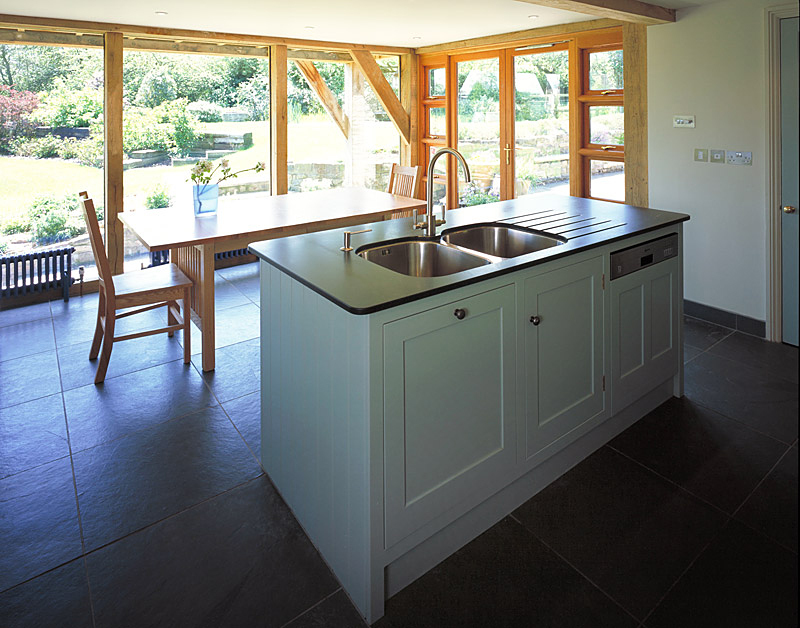 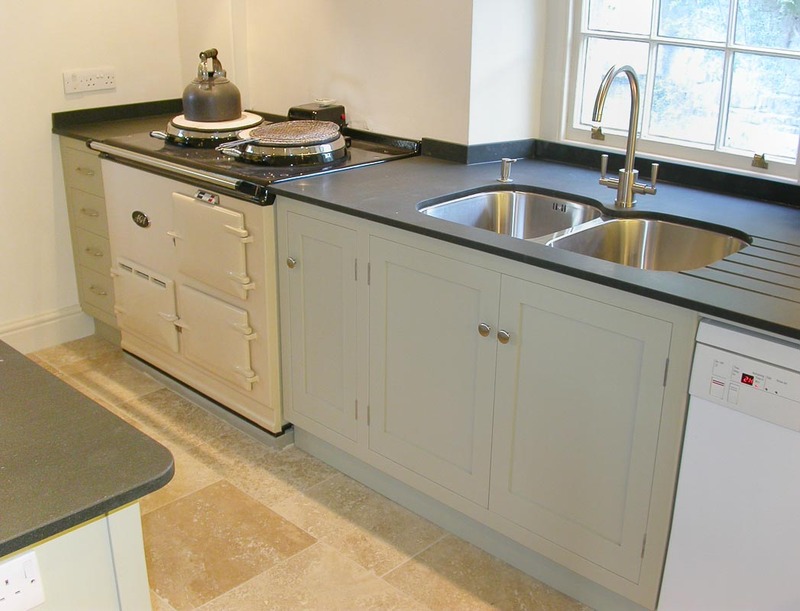 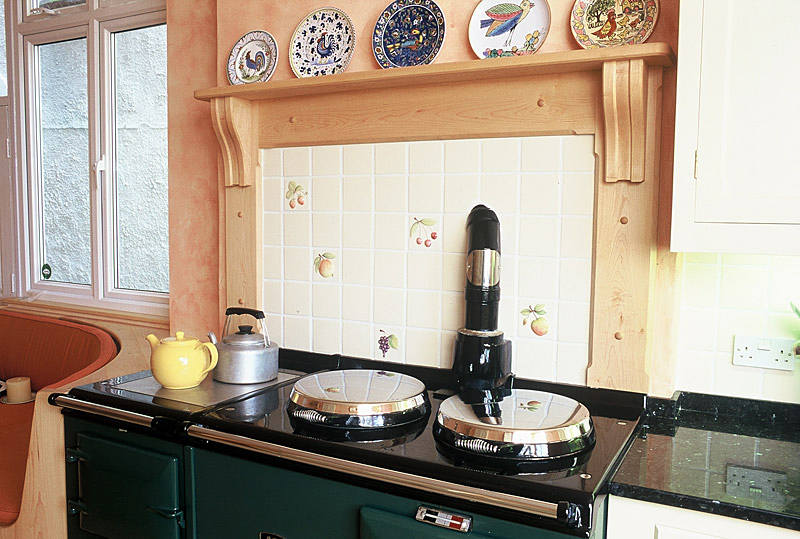 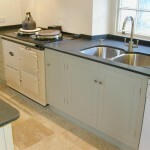 The worktops are honed black Granite and above the Aga is one of our French farmhouse-style canopies. 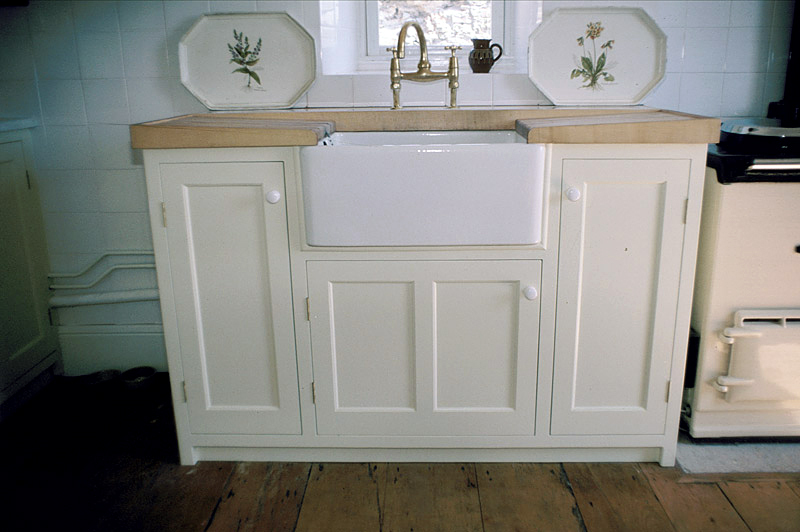 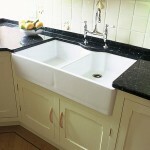 Wooden draining boards, Belfast sink and a hand painted finish. 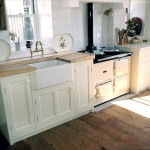 This was our first “un-fitted” kitchen! 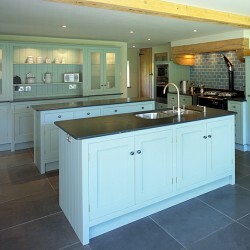 Pale green painted kitchen in a “Shaker” style. 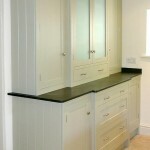 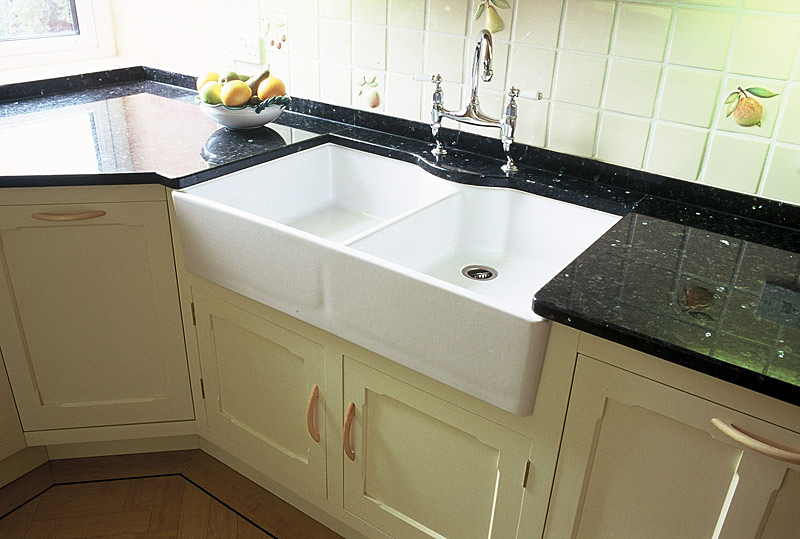 The worktops are honed black granite. 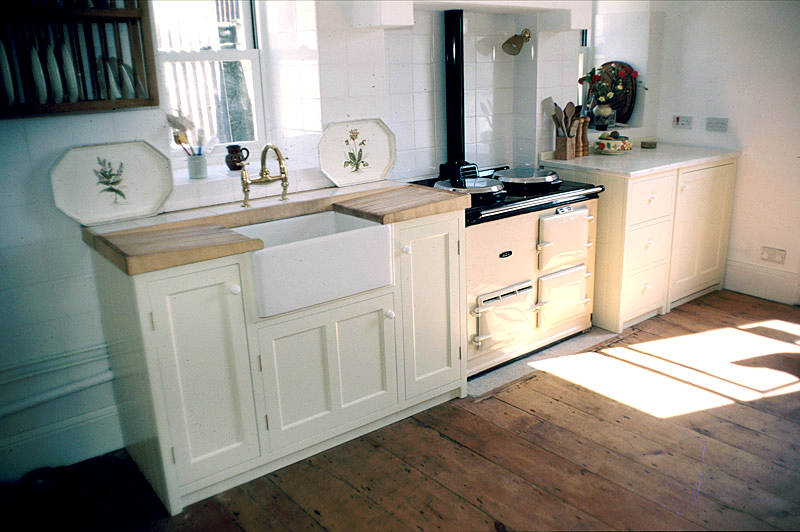 A practical working kitchen in a victorian town house. 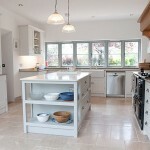 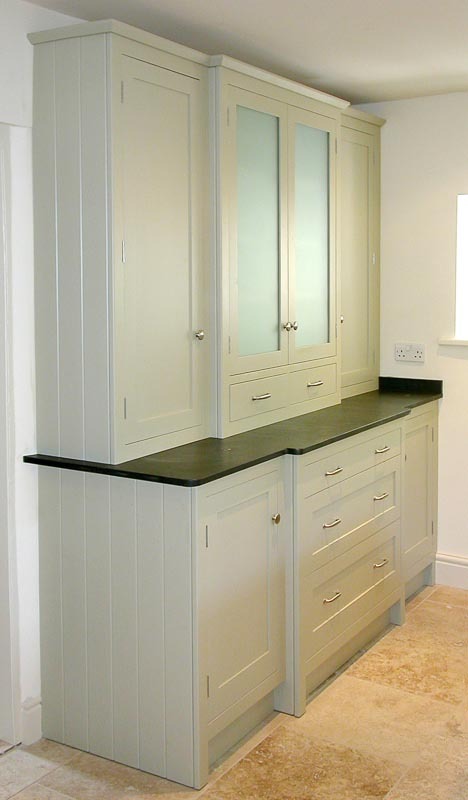 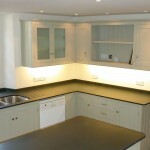 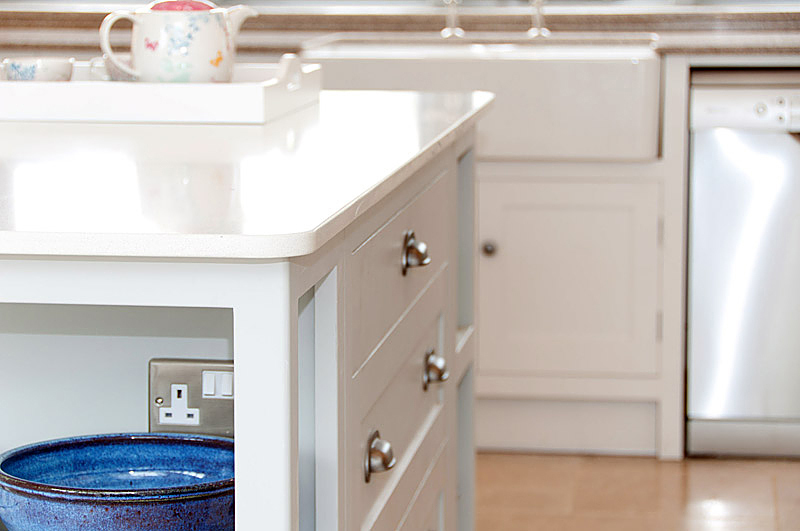 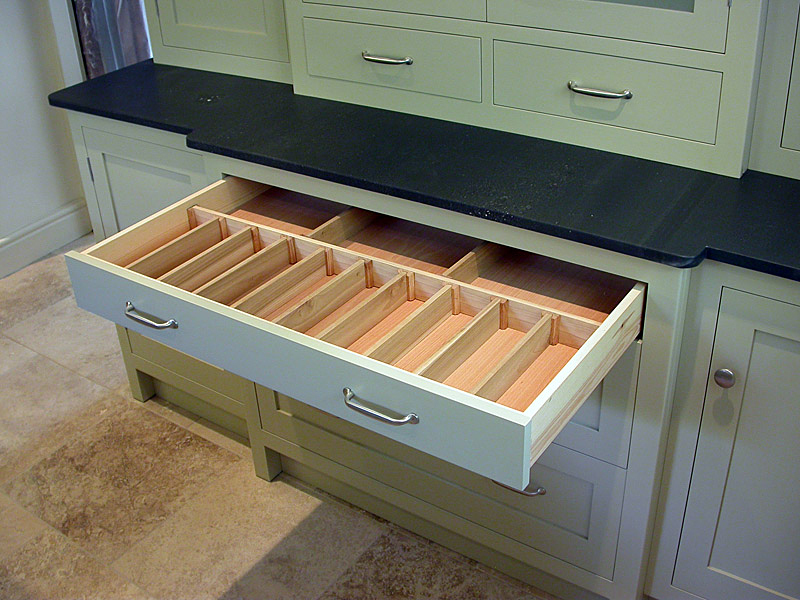 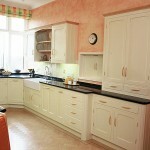 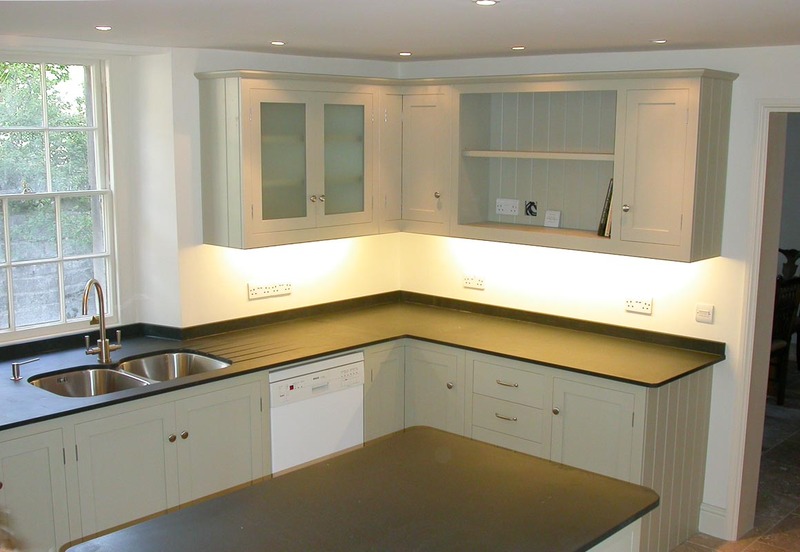 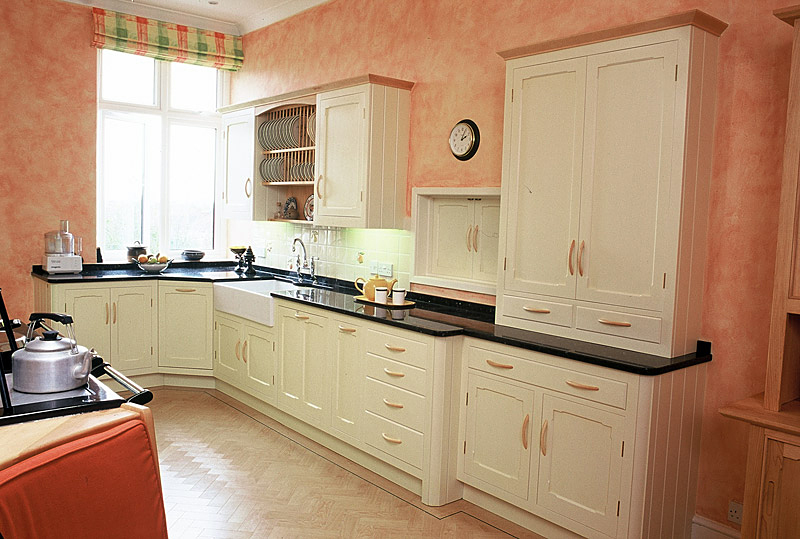 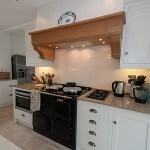 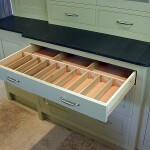 The cabinets are finished with a pale colour wash and the worktops are polished Granite. 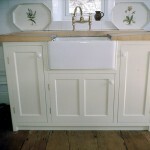 The cornice and handles are in Maple, which match the Maple dresser also made for the room. 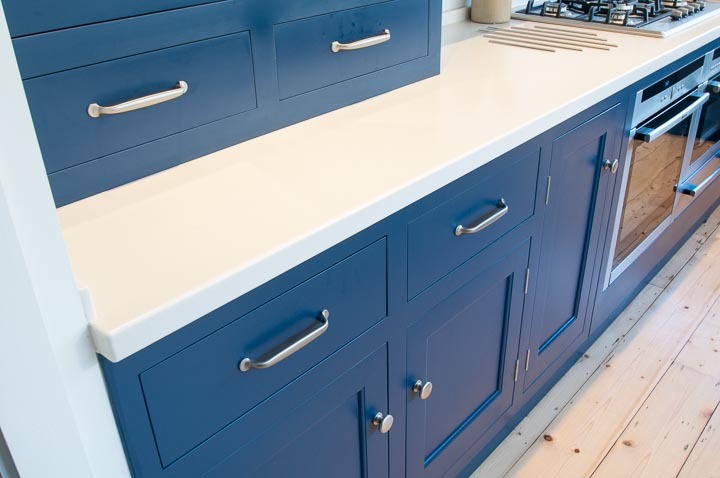 Our handmade painted kitchens are made in a variety of materials – we use different finishes depending on the required look. 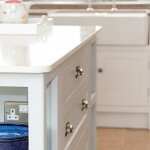 Some are hand-painted and others spray lacquered.